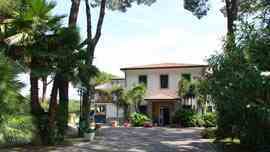 The art nouveau architecture and deco style along the cost , represent the turistic tradition of Marina di Massa. In summer the beaches explode with the bright colours of endless rows of beach umbrellas and sunbeds put at disposal by well-equipped beach establishments. In the shade of the coastal pinewood , pleasant hotels, camping, residences and restaurants are placed all along the coast. The traditional cuisine is still strong and can be enjoyed in many restaurants , while drinking the local white Candia wine.This is a DOC wine with a distinctive flavour , ideal for fish dishes and the sweeter one for desserts. There is a variety of sports facilities in the zone: the usual swimming, sailing but also tennis, with a large number of clubs with open air and indoor courts equipped for evening matches, skating, horse-riding, volley-ball, basket-ball, football, baseball and fishing. The night life is first class with discos and night clubs where shows and concerts with famous singers and entertainers are organised. During the summer period ( June-September ) the Azienda di Promozione Turistica in collaboration with the town administrative body and the other local authorities and organizations prepare a season of Theatre , concerts, art exhibition and folklore events. For the joy of children and those looking for an original way to get places, the tourist train can be a fun way to visit the typical areas outside town. 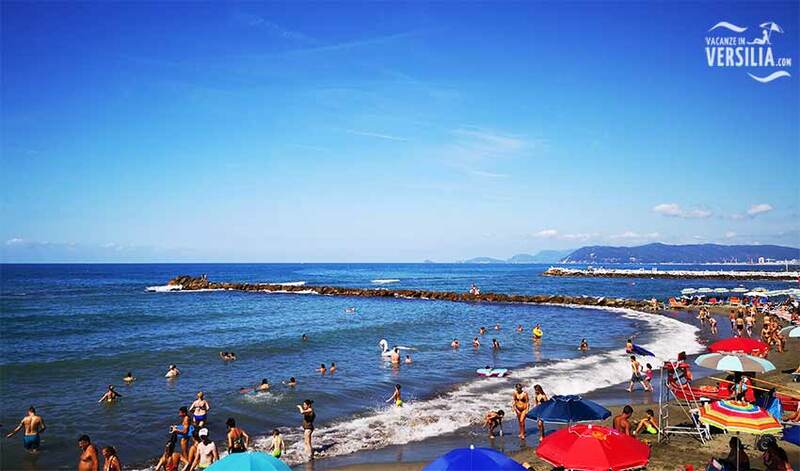 The end of summer event is particularly famous , when Marina di Massa organises a farewell ceremony for the tourists , culminating in an impressive firework display.